Need the best air conditioner repair in town? Call MD Air Conditioning & Heating today! There are options for you to invest in your home’s comfort without breaking the bank! 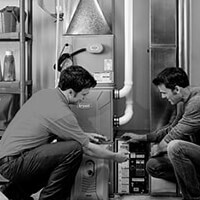 Get the answers to your most commonly asked HVAC questions from the HVAC experts. 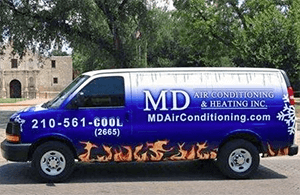 MD Air Conditioning & Heating Inc. Here at MD Air Conditioning & Heating Inc., we understand your home’s comfort needs and always strive to provide the excellent service. We are locally owned and operated, and offer quality heating and air conditioning services for the San Antonio community and all the surrounding areas. Our goal is be the most reliable and honest air conditioning contractor in the area, so we strive to offer the best workmanship in installing, repairing, and replacing your home’s HVAC equipment. The last thing you want is an AC breakdown, and it always seems to happen at the worst time. When you have a problem, don’t hesitate to call MD Air Conditioning & Heating Inc. We even offer weekend and evening service so you don’t have to wait long before help arrives. If your old air conditioner or heat pump is constantly breaking down, it may be time to upgrade to a modern and more energy efficient system. We will provide you with a free estimate and work with you from the start to see that we offer the best solution that fits your budget. In order to keep your air conditioning system running its best, don’t forget to schedule maintenance appointments, and our expert technicians will keep your unit firing on all cylinders! Heating is more than just warming your home. If any part of your heating system isn’t working properly, then you may end up freezing during the cold winter months. That is why we at MD Air Conditioning & Heating Inc. diagnose every part of your furnace and heat pump with the highest level of expertise and experience that only our certified and experienced technicians can offer. We diagnose the real problem and provide viable solutions, and we will only repair what needs to be fixed and only after you authorize the repair. MD Air Conditioning & Heating Inc. also offers San Antonio’s most trusted heating repair and maintenance services, so don’t hesitate to call! For anything HVAC related, contact MD Air Conditioning & Heating Inc. today! 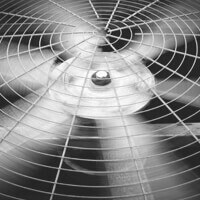 As San Antonio’s most trustworthy air conditioning contractor, we will be happy to serve you. MD Air Conditioning and Heating Inc. is licensed by the Texas Department of Licensing and Regulation and are members in good standing of Air Conditioning Contractors of America, a group of over 4,000 air conditioning contractors working to improve our industry, promote good practices, and keep homes and buildings safe, clean and comfortable. 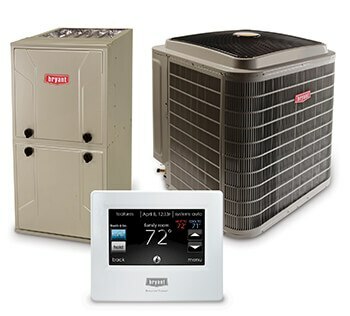 MD Air Conditioning and Heating Inc. services residential homes and commercial businesses.